Jodi has practiced the methods of Ashtanga and Vinyasa Flow Yoga, and has studied with Shiva Rea within her methodology of Prana Flow. Her practice has included a wide range of disciplines ranging from Yin Yoga to Thai yoga massage. She is currently engaging in MBSR method studies at the University of Toronto. With a solid foundation in her own practice, Jodi encourages her students to soften the edges in asana practice to open the door to a truly embodied practice. Through the dedicated work of Buddhist Thich Nhat Hanh, Jodi practices deep listening, to better understand the global community. Travelling alone through India and leading yoga retreats in North Africa has shifted her worldview and increased her capacity for compassion and understanding. Adam leads classes designed to quiet the mind and inspire the body through music, movement, and breath. His goal is to provide a supportive and inclusive space – safe for students to awaken the body’s vitality, and to release stress patterns. 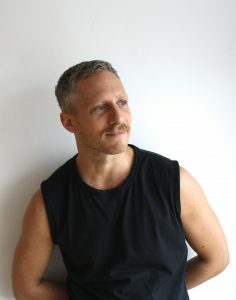 To develop an intelligent, and satisfying yoga practice, Adam integrates conscious alignment and proper breathing techniques into engaging and challenging sequences. To support the constant evolution of realizing your potential, Adam’s classes are an opportunity to clear the slate – physically and emotionally to make space for the connection to spirit. Carolina started practicing yoga in 2000, while still living in Brazil. The inner peace found on the yoga mat sparked her ever-growing curiosity to learn more. She took her first hatha yoga teacher training program in Toronto in 2006. In 2008, during a trip to India, Carolina experienced yoga therapy in a clinical setting and since then has been working one-on-one with individuals of all walks of life, dealing with specific needs and conditions to help them achieve optimal health and overall well-being. With over 1,000 hours of formal training by renowned mentors, Carolina creates a safe practice environment focused on the subtle exploration of body and mind. Through her own journey and teachings, she hopes to inspire people to live from a place of love and acceptance, realizing their fullest potential. Ongoing studies and practice, combined with a compassionate heart make her classes a soothing experience for mind, body and soul. Audrey Gentile is a yoga teacher, culinary arts graduate, wife and bulldog mom. Hailing from northern Quebec, her yoga journey began in 2002. As she deepened her discipline for the practice, learning and travelling with Lyne St-Roch, pioneer of francophone yoga, she discovered its broader spectrum and the self-exploration gifts it offers. Audrey’s teaching is infused with authenticity and vulnerability. Skillfully arranging asanas to ease the journey from the physical to the subtle body, her emphasis is on what the practice feels like and what it evokes. Compassionately unambiguous around taking a ‘non-guru’ approach, she focuses on empowering her students to connect with their own wisdom and strength. 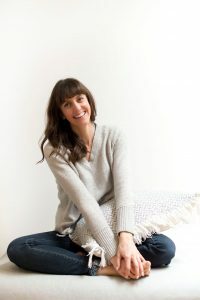 Today, calling Toronto home, Audrey can be found teaching in local studios, in private at-home classes, in satellite workshops and as part of her immersive retreat experience, L’Anima, in Italy. Audrey’s love for yoga is matched by her passion for slow and ethical food. Her attention being on the quality of both these sacred practices, the essence is ultimately feeding the body and soul in a true holistic sense and as a way to celebrate life. Kim is a gifted and empathetic educator and practitioner with a passion for yoga, pilates and somatic movement practices. 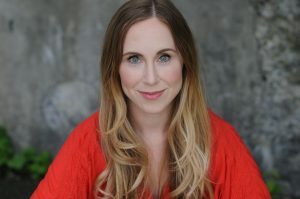 With 15 years educational and practical experience in movement and therapeutics, Kim nurtures a safe, contained space of self-inquiry, empowering others with tools and techniques that support mindful, bodily presence as a means to grow and transform. Kim has trained at The Nosara Yoga Institute in Costa Rica and the Octopus Garden Yoga Centre in Toronto. She has studied Restorative Yoga with Judith Lasater, Trauma Informed Yoga with Sarah Kinsley, and Pilates with Leslie Parker at Mindful Movement Centre. She continues to study and practice yoga, somatic-body energetics, and other various forms of experiential movement with her most valued and cherished mentors. Dipl. Psych., M.Ts., R.P. Scott is a Registered Psychotherapist, Certified Clinical Trauma Specialist (CCTS-I), member of the College of Registered Psychotherapists of Ontario and Canadian Association of Psychodynamic Therapy. He is the Assistant Educational Director and Faculty at OPC. He lectures on Ethics and Professional Practices and is a Learning Group facilitator. 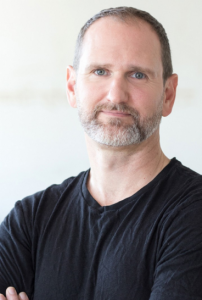 Scott’s personal interest in Yoga and Buddhism has led him to explore and lecture on the intersection between eastern with western theories of self and mind and to bring those insights into his work with trauma and structural dissociation of the personality. Lana is a Canadian yoga teacher, kirtan artist, and facilitator in yoga teacher training programs. She specializes in Yin, Jivamukti, Meditation, and Mantra. Lana has been teaching yoga for the past ten years and practicing for twenty. She dabbled in many styles until she discovered Jivamukti. The richness of the practice led her to complete a 300 Hour training at the Omega Institute in New York in 2009. Later that year she studied Yin Yoga with Tracey Soghrati, a 40-hour certification. 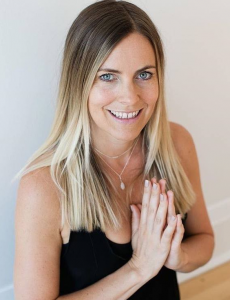 She has been graced with the teachings of many inspiring yogis, including David Life, Sharon Gannon, Sarah Powers, JP Tamblyn-Sabo, and the radiant community of Toronto. Jenny is the founder of RAUQ, an energetically elevated jewelry line that embraces the healing properties of minerals. She teaches about minerals at the intersections of anthropology, geology, philosophy, and spirituality. An open and curious mindset is what she encourages to intuitively explore the metaphysical. Jenny has a Masters of Fine Art from York University. 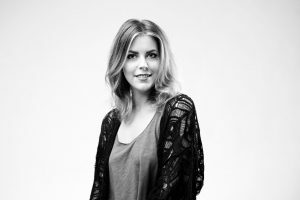 She has taught art at York University, The City of Mississauga, and various non-profits throughout Alberta. She continues to teach and practice art in Toronto, Ontario. Artist, Storyteller, Teacher, Energy Worker. Vanessa is the holder of many titles, but more than anything she is passionate about empowering people through movement, meditation and conversation. She thrives on meaningful moments, creative collaborations and the immense transformative powers each of them hold. Vanessa’s teaching practice is rooted in the foundations and lineage of Vinyasa yoga, but steps outside the traditional lines of the yoga experience. 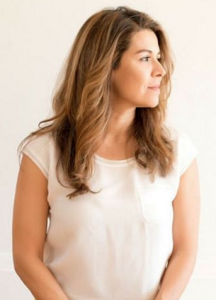 Vanessa leads various styles of movement and meditation classes that depart from tradition to offer a mix of supportive and empowering modalities to help you become more connected with your body and mind. Vanessa is known for her powerful practice, intuitive understanding of the body and her creative and engaging teaching style. Her classes are set to specifically curated music to connect movement, breath and experience on a deeper level. As a teacher, Vanessa seeks to pass on her deep love and the power of movement and meditation as medicine, by inviting others to dive inward and experience connection with themselves.